In-house shredding is not all it’s cracked up to be. Even if you have the best office-grade shredder in the industry, all of your documents aren’t going to shred themselves. In order to destroy the necessary documents, it means that someone from your office will have to physically feed the documents into the shredder one by one. Additionally, this individual will have to take even more time to pull out staples, paper clips, etc. before the documents can be shredded. Unless it’s that person’s specific job to shred your documents — which is pricey in its own right — chances are, you are pulling someone away from their regular work to shred your documents, hurting the efficiency and productivity in your office. Businesses don’t just shred documents to protect their own information or to be nice; they do so because it’s the law. When you choose to outsource your shredding, the company you work with will provide you with a Certificate of Destruction once your documents are shredded. This is proof that you’ve complied with the law and properly destroyed all necessary information. 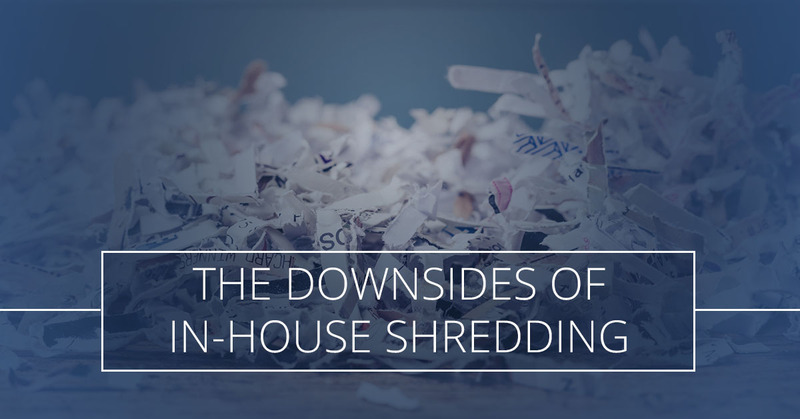 With an in-house shredder, there is no proof of compliance — just your word. And often, that’s not enough to prove that you’re in compliance, and that could get you into trouble. According to the Cyber Security Intelligence Index, human error plays a role in 95 percent of all security occurrences. Mistakes happen, especially when your employees are busy with other things, and when they may not be fully aware of all of the laws and regulations governing what should and should not be shredded. And unfortunately, when your employees make mistakes, it’s your company that will have to pay the price for non-compliance. Though it may sound dramatic, a fire is a very real possibility when you have an in-house shredder. Paper — particularly small strips of cut-up paper — as you know, is extremely flammable. Combine that with the fact that office-grade shredders are not meant for bulk shredding and can easily overheat, and you’ve got a recipe for disaster. Retail Knowledge recently released a report that found that companies in the United States lose $60 billion every year to shrinkage, and the report also revealed that the top contributor to shrinkage is employee theft. When you’re dealing with sensitive information, like personal or financial information about clients or even internal information about your company, the fewer eyes on it, the better, even if those eyes are internal. We all want to believe the best of our employees, but it’s also important to take the necessary precautions to keep sensitive data safe, and that means outsourcing your document shredding to a reliable third party, like Access Information Management. Mitigate the risks with Access Information Management. While in-house shredding may seem like the cheapest, most convenient option for destroying your documents, the reality is that it simply opens you up to too much risk. Luckily though, Access Information Management is here to help. As your premier source for document management in Chicago, we can handle all of your shredding needs, but we don’t stop there. 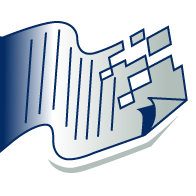 We also offer document storage, data-backup, document imaging, document retention and more. With our team on your side, all of your document management needs will be covered. 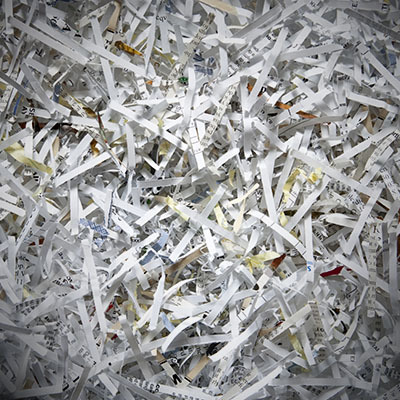 Learn more about shredding and our many other services when you contact us today.